Readers, I’m a little late to the party seeing as it’s now the evening of Good Friday and I’m only just getting a post together and up online. To be honest, Easter has creeped up on me this year. With being away and busy with charity work (and day to day work) it’s arrived before I’m ready for it. *Cue panic buying chocolate eggs. Anyway, as I’m limited on time and my colleagues are requesting Easter baked goods, I’ve done what I can, in half an hour. It has inspired me to put a quick post up tonight though. 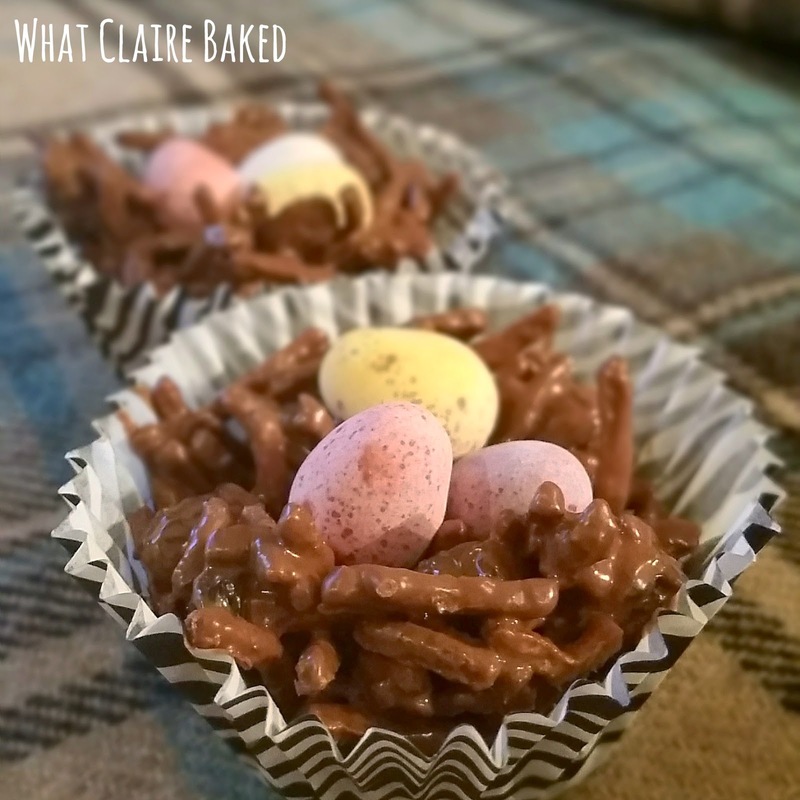 These are so simple to make and would make a great gift for the kids to take to Grandma’s house on Easter Sunday. Ready in 30 minutes and using only 4 ingredients, these are super simple for family baking. Melt the chocolate in a microwaveable bowl for 1 min 40 secs (800w microwave). Stir after 1 minute, then finish for 40 seconds. Stir to ensure all chocolate is melted. 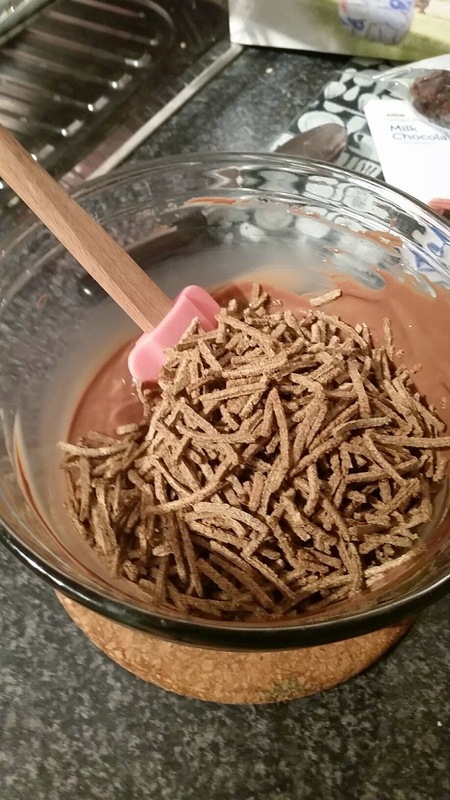 Add enough bran cereal to coat fully with chocolate. Add the raisins or sultanas and mix fully to integrate to the mix. Spoon the mix into 12 cupcake or muffin cases. 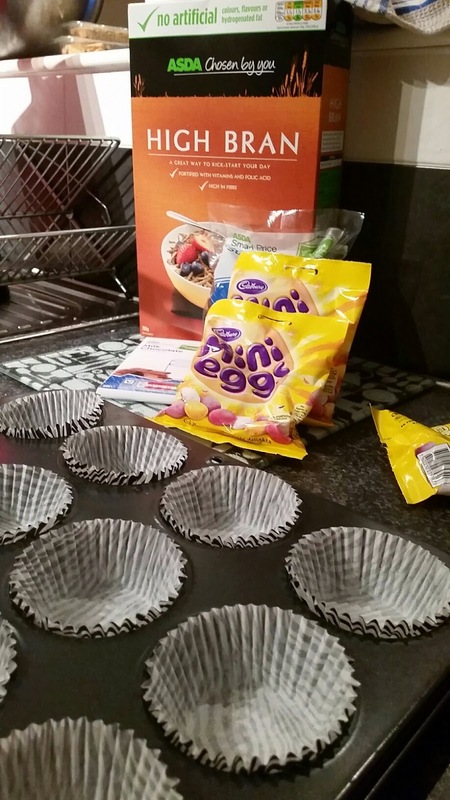 Put cases in a muffin tin, to ensure the nests hold their shape. 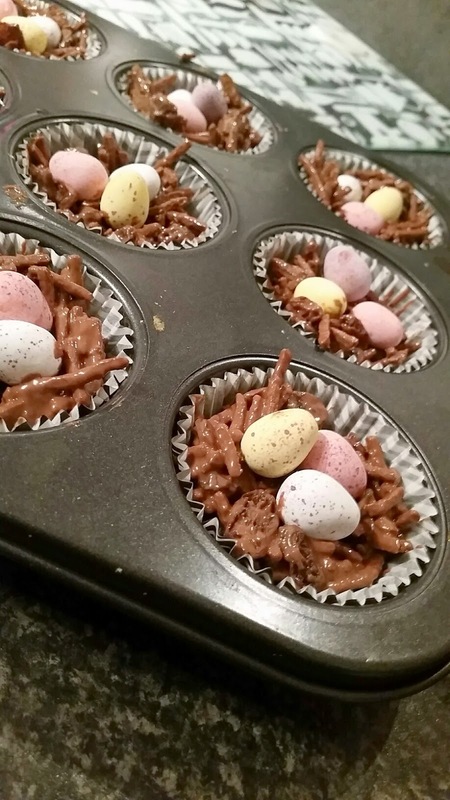 Add 3 Mini Eggs in different colours and transfer to the fridge to set for several hours. Store in an airtight container in the fridge for up to 4 days (if they last that long).